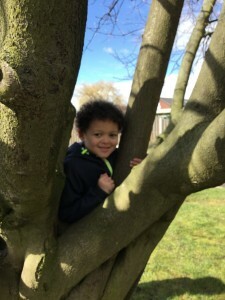 We even like climbing trees! 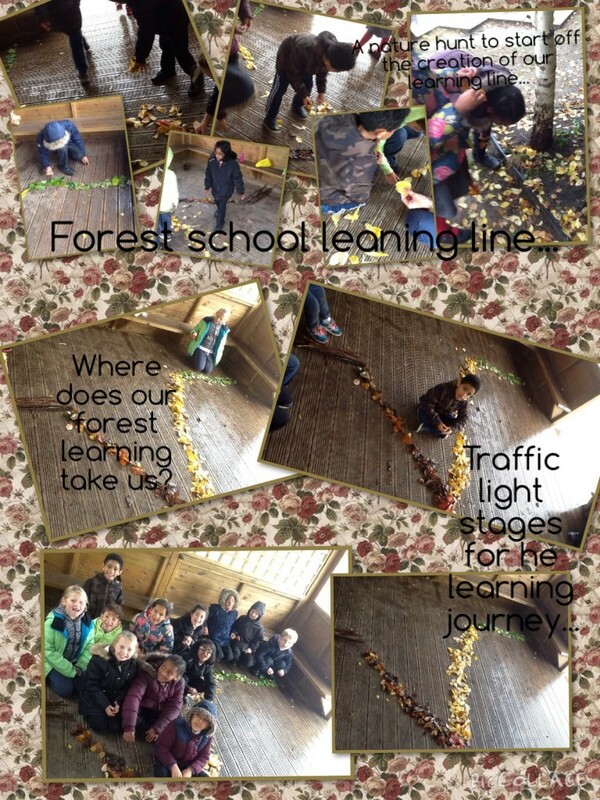 We thought about what we enjoyed during our forest school adventures! 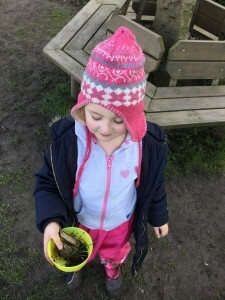 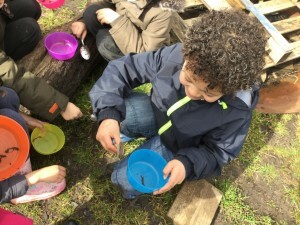 We are worm explorers ! 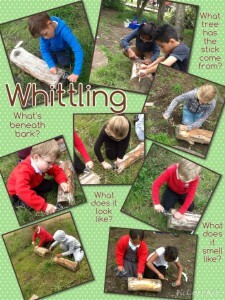 Woody lost his worms so we went exploring for them to help him! 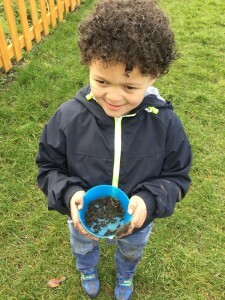 Some of his worms were harder to find than others! 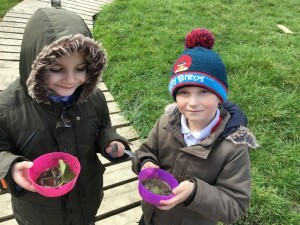 We learnt that this depended on the colour of his worm..
Greens and darker colours were difficult as they blended in with our woodland environment! 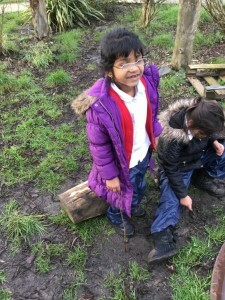 The brighter colours of pinks and purples stood out more for us! 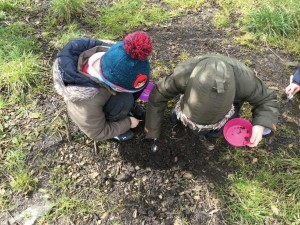 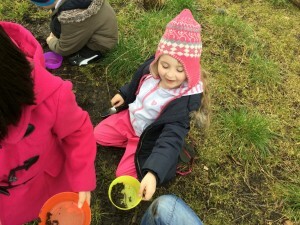 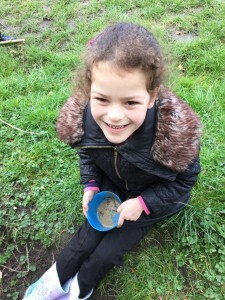 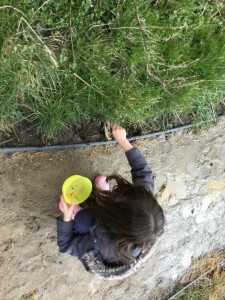 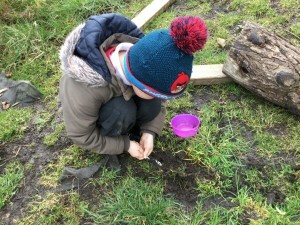 We went digging for our own worms… Look how we got on! 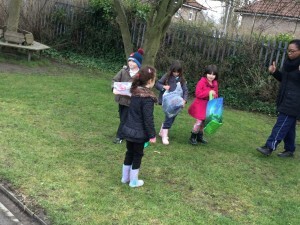 We went on a hunt for these important things! We are foresters! We love our woodland! 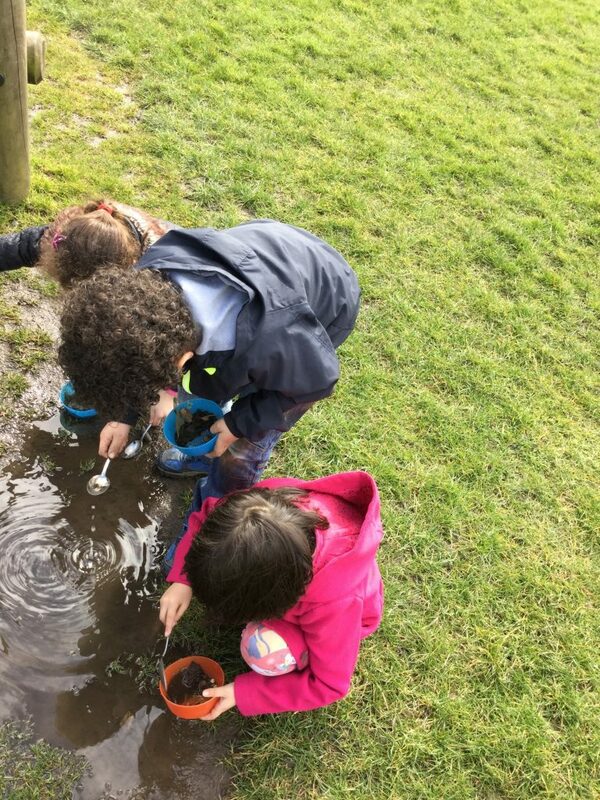 We are so happy to see spring and its warmer weather! 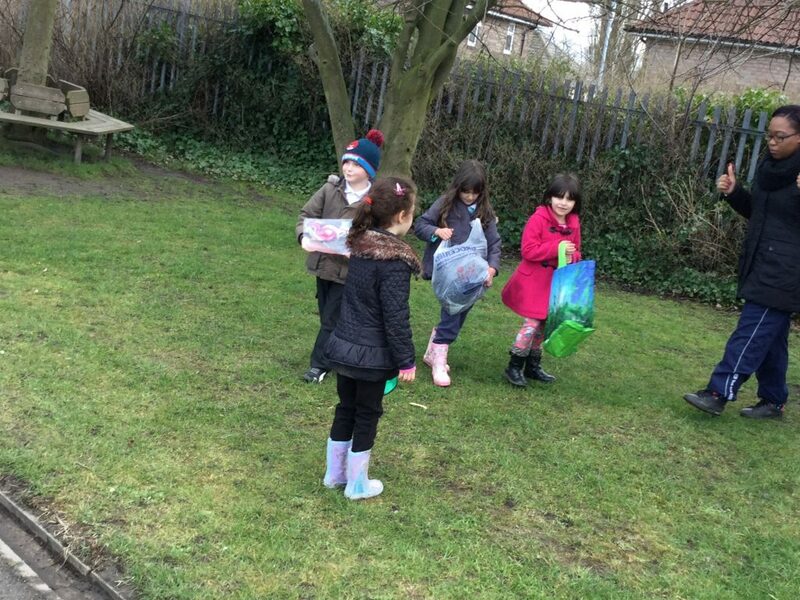 We are independent and help out Miss Martin and Miss Bell every week with carrying kit and helpful essentials! 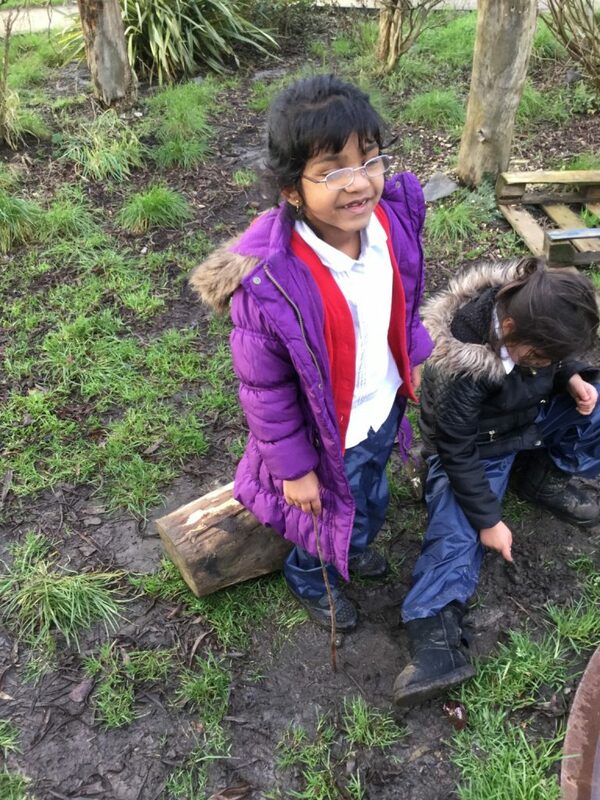 We even wash up our own tools and equipment for the woodland! 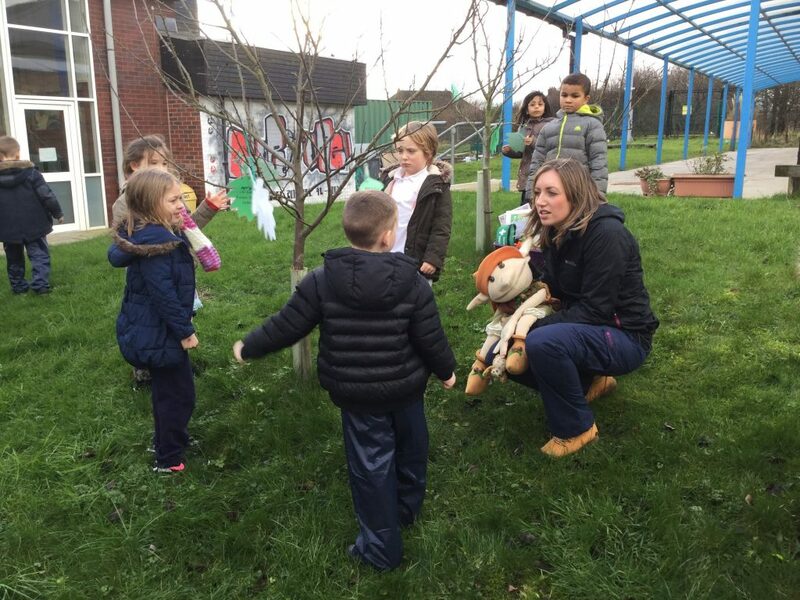 As we welcome in 2016, we welcome our new forest explorers from year 1! Here they are after reading Stick Man telling us all that ‘I’m not a stick…! I’m not a stick.. Im a bow and arrow! I’m not a stick… I’m a flute! 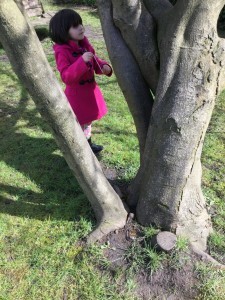 I’m not a stick… I’m Grandad’s walking stick! 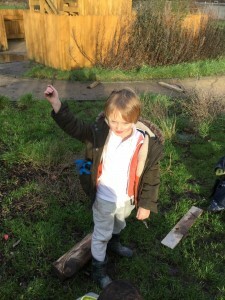 I’m not a stick… I’m a flag! 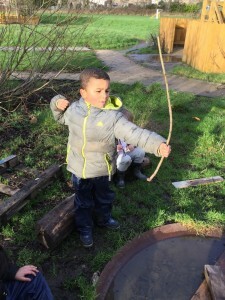 I’m not a stick… I’m a boomerang! I’m not a stick… I’m a fork! 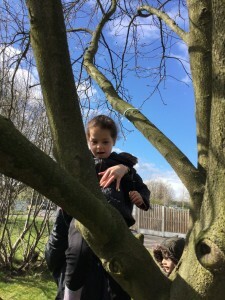 I’m not a stick… I’m a bat! 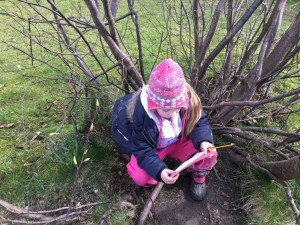 I’m not a stick… I’m a pencil! 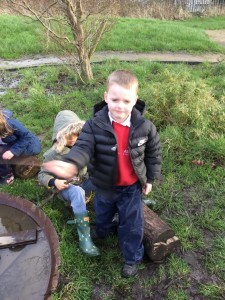 What would you like to ask Woody? 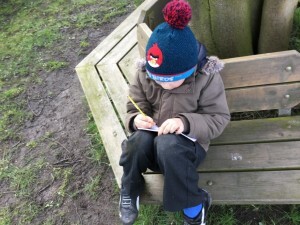 If you have a question for Woody post it on the blog and I am sure he will get back to you! 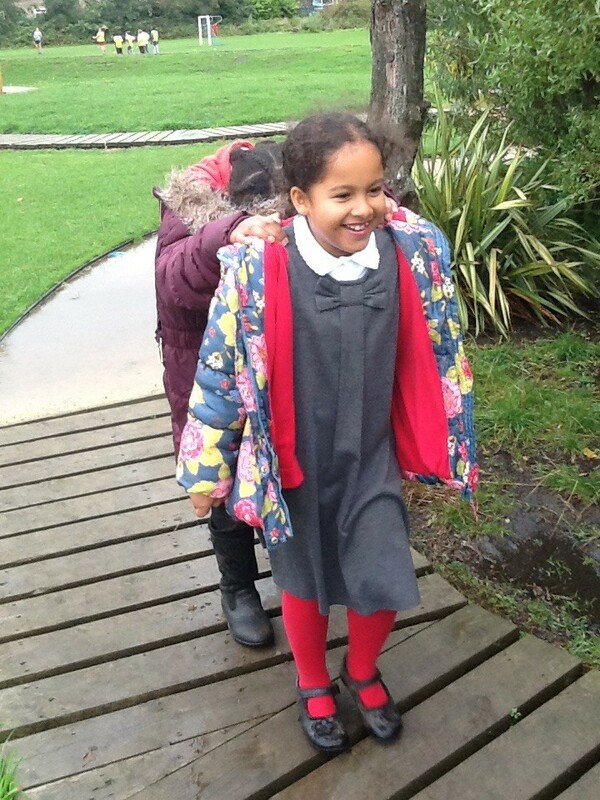 What a fun first day out! It was pretty chilly today so please remember more warm clothes for next week and wellies or thick sturdy boots! 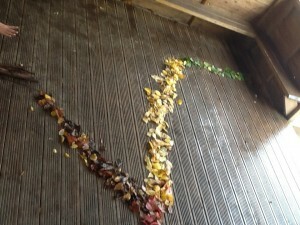 I wonder what Woody will have in store for us next week! 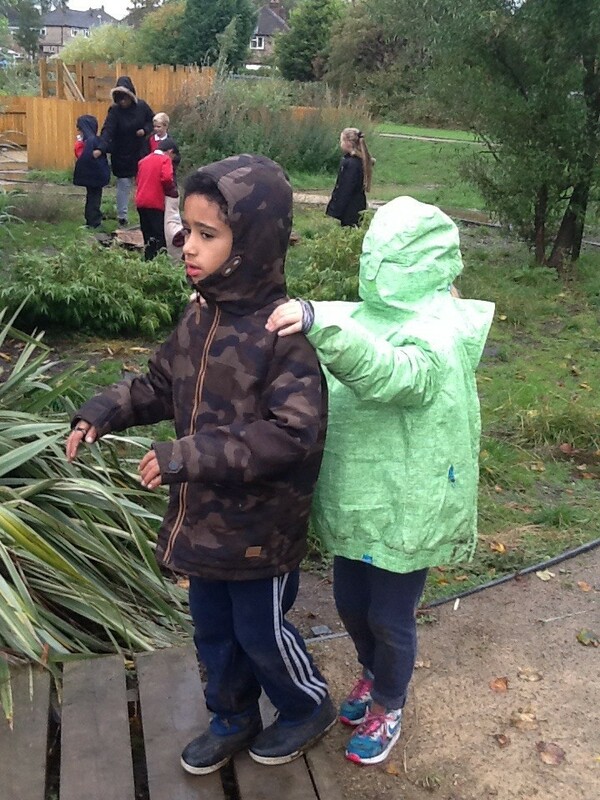 Blindfolded in the forest area… We had to communicate confidently with our partners as we took them on a journey around the forest … We built trust between us all to become greater teams! 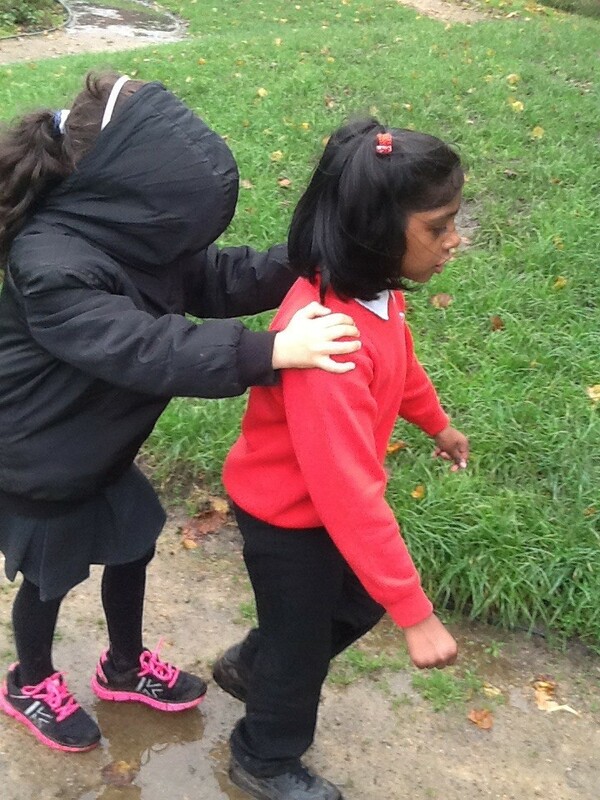 Aisha learned to slow down and talk calmly to Melaka to help build that trust … Excellent team skills! 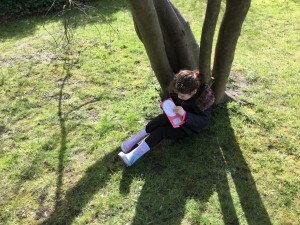 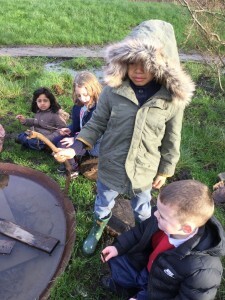 Please remember you forest school kit! 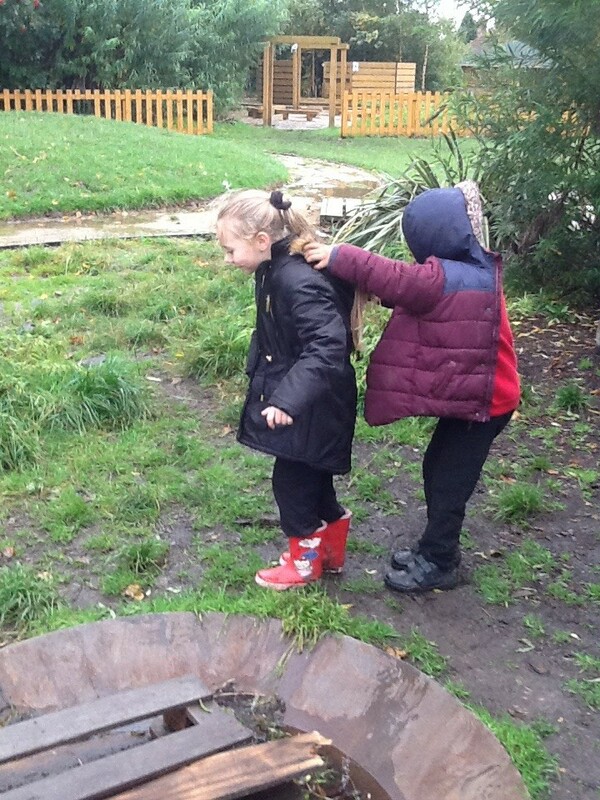 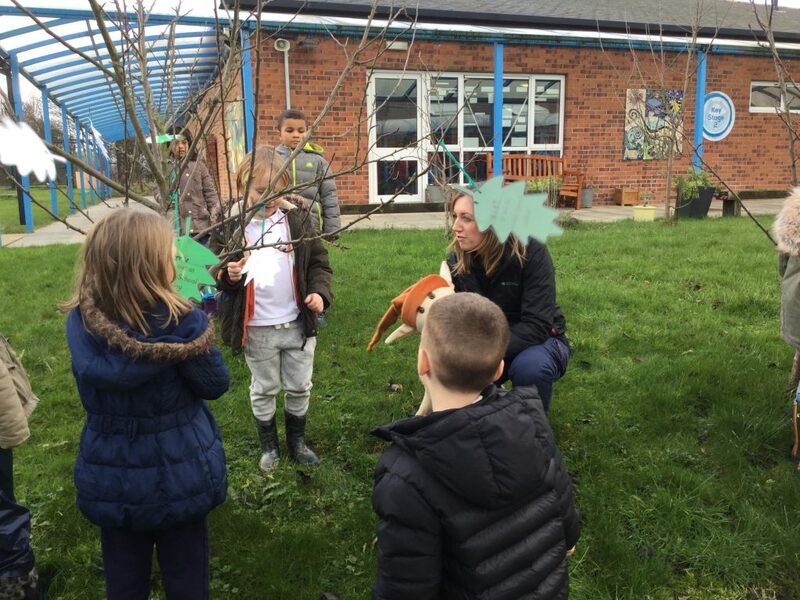 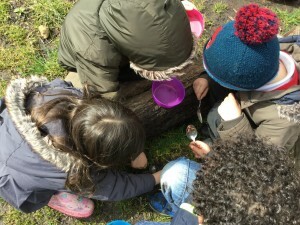 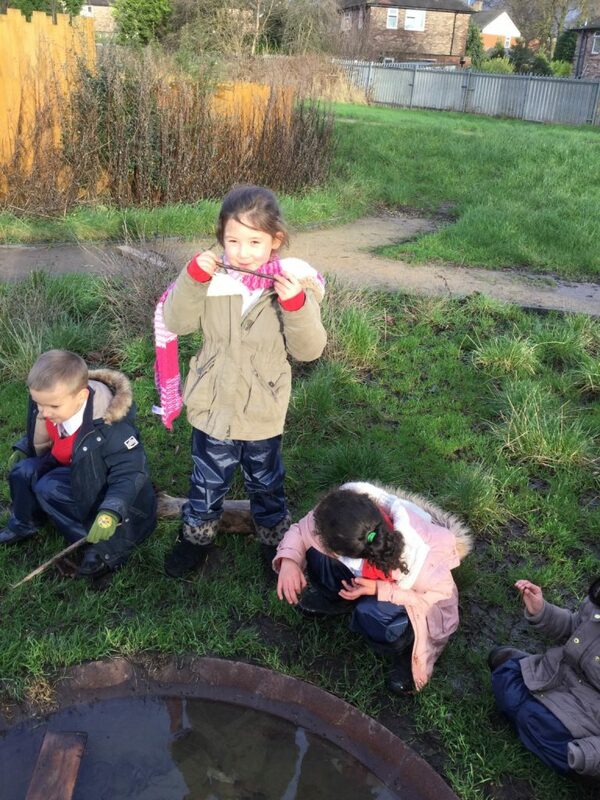 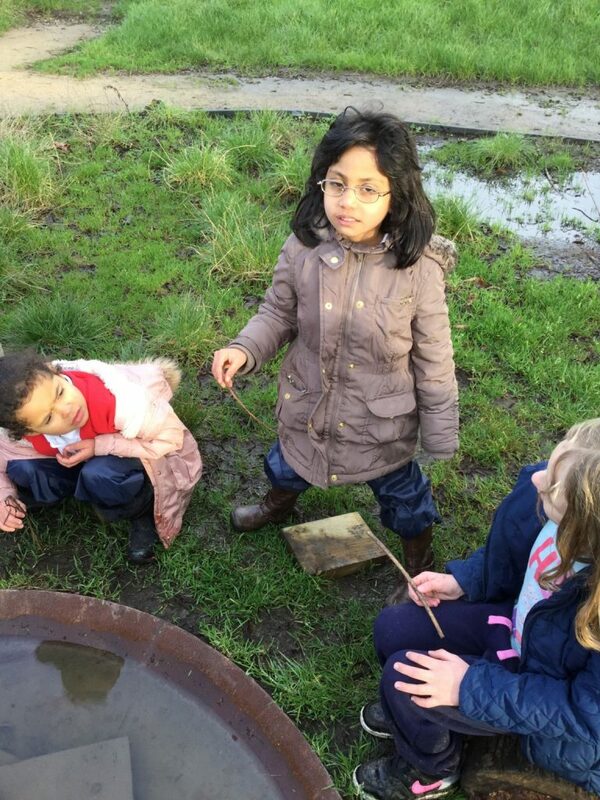 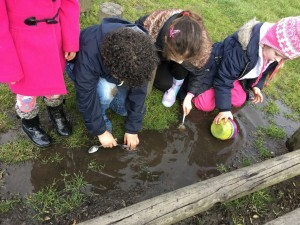 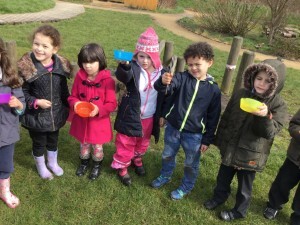 With the change of weather this week, we were caught in the rain at forest school… Please remember to bring your outdoor/ waterproof trousers and Wellington boots! 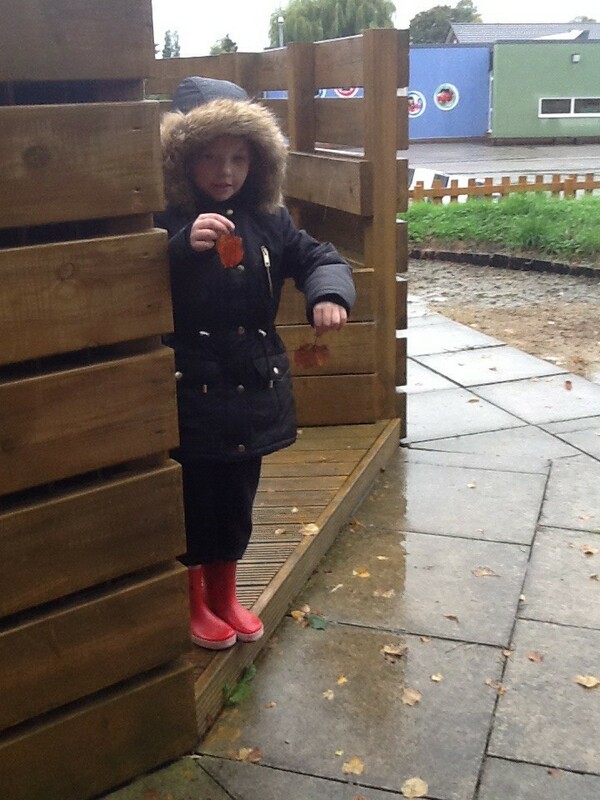 Keep yourselves warm and dry in these autumn forest sessions! 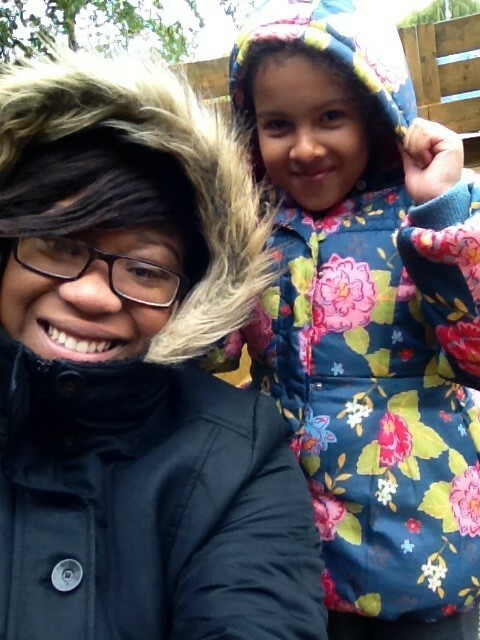 Miss Martin and Ria were certainly wrapped up warm! 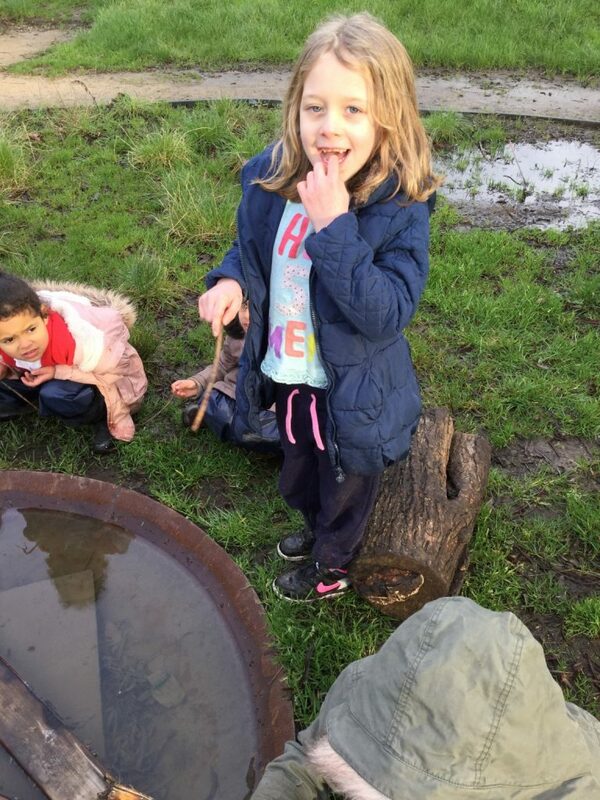 Well done to Tia for bringing her practical willies this week! 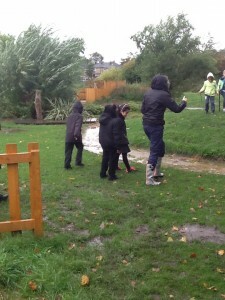 No wet feet for you! 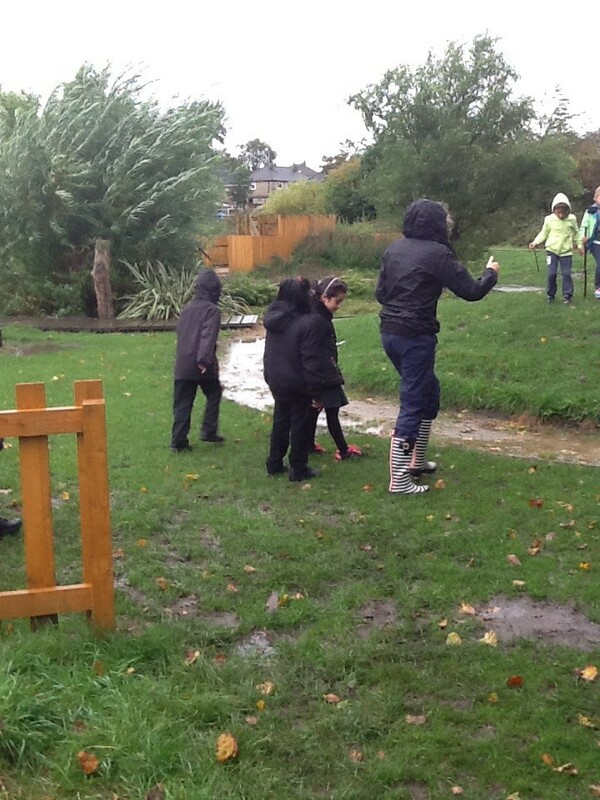 Drip drip drip, little autumn showers! 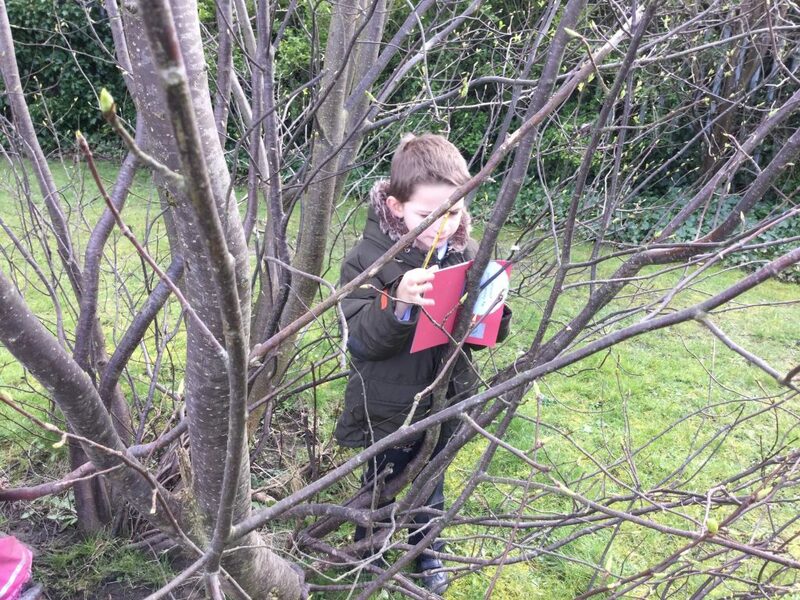 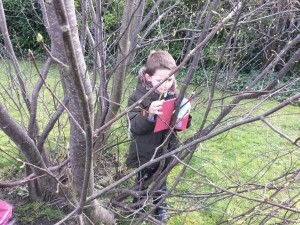 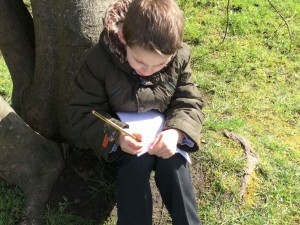 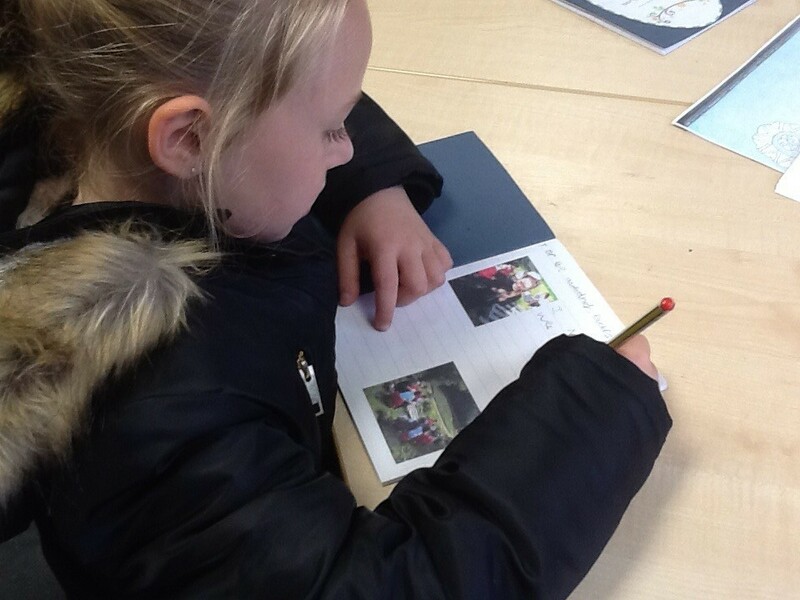 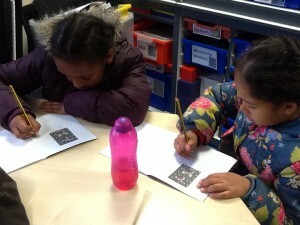 Don’t forget to fill out your forest school journal. What will you report on this week? 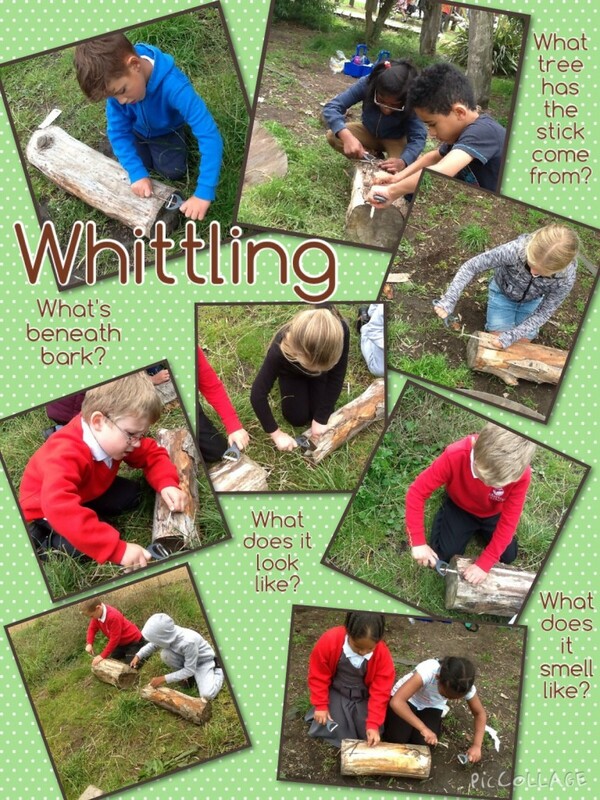 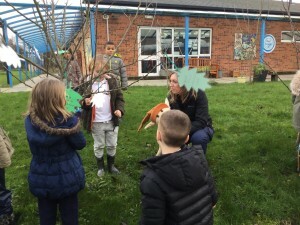 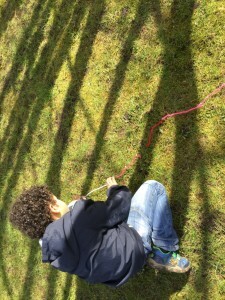 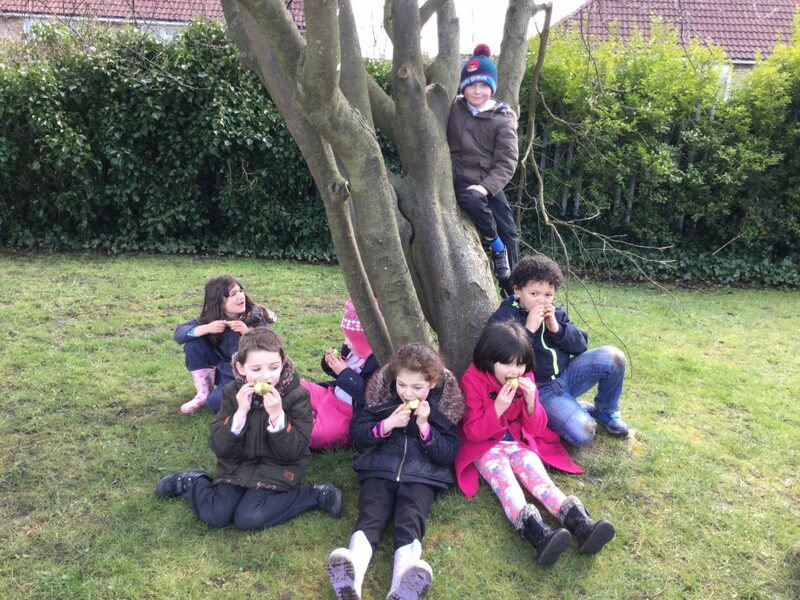 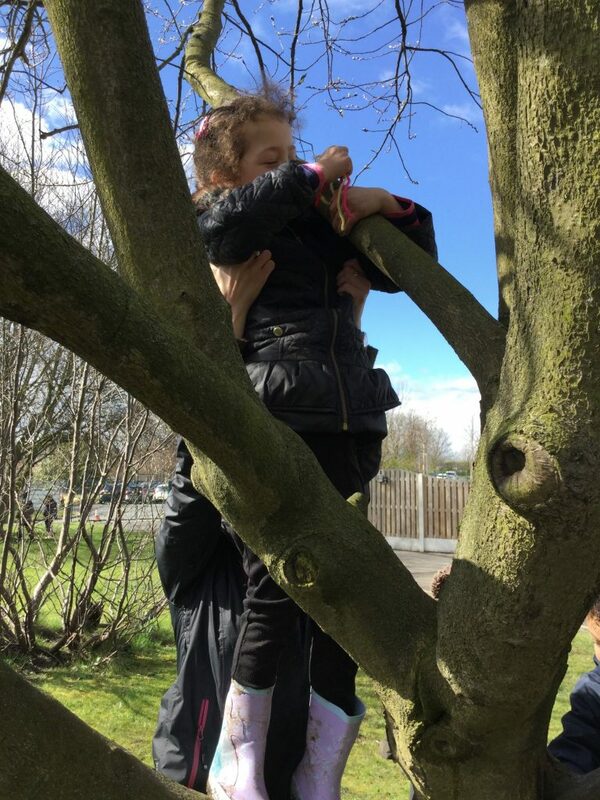 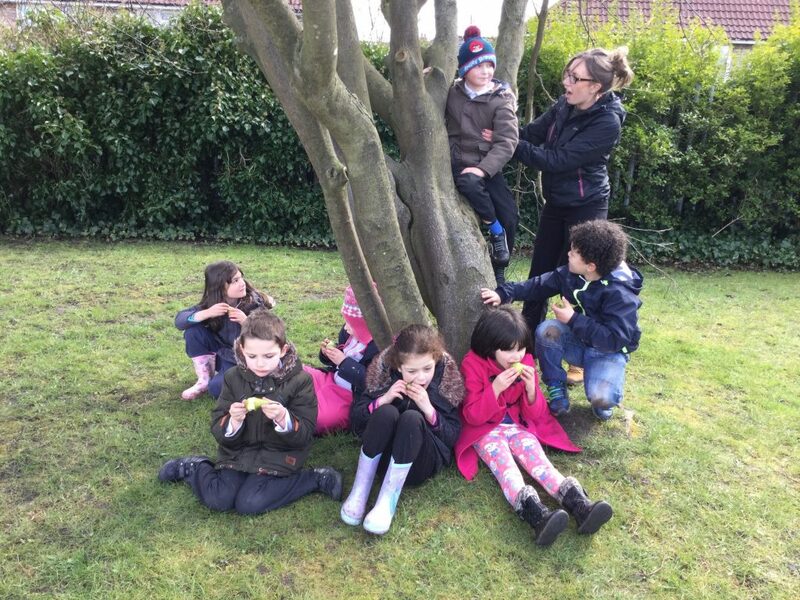 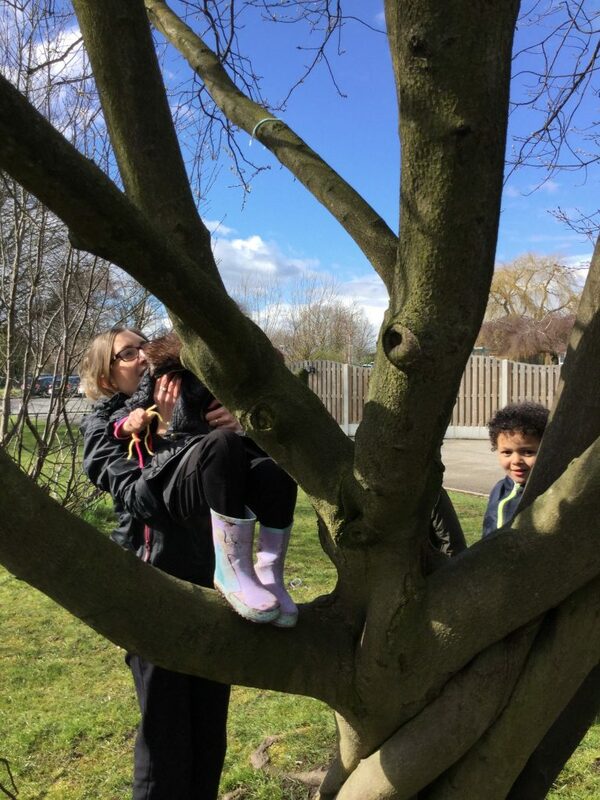 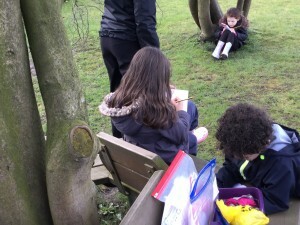 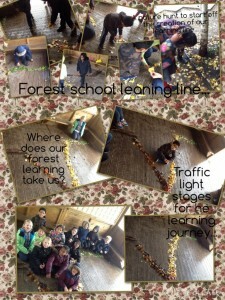 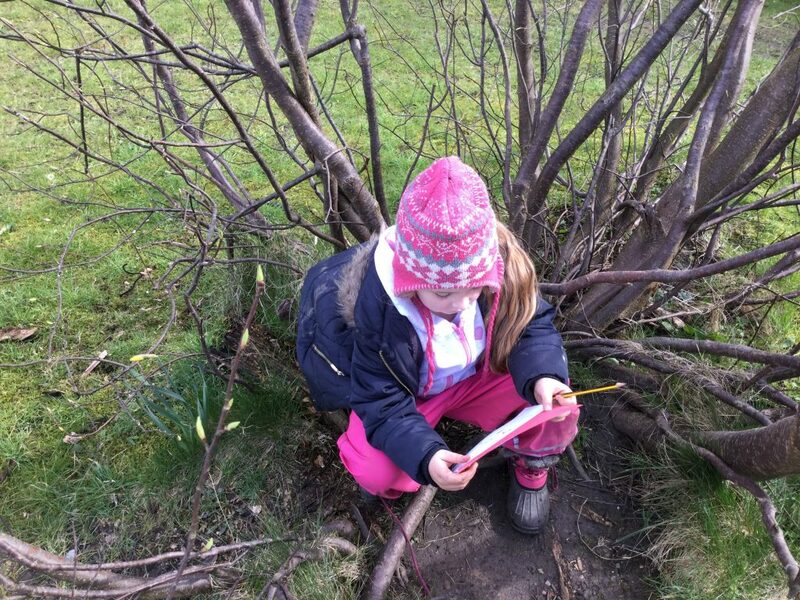 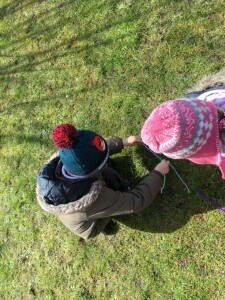 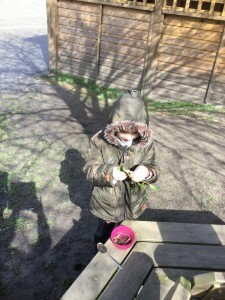 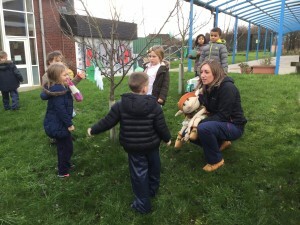 A fantastic learning line made by the children t forest school this week… A tricky challenge, especially when that wind came! 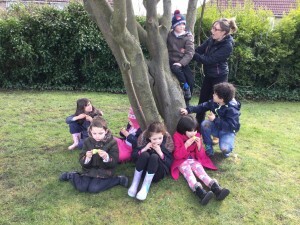 …but we did it!